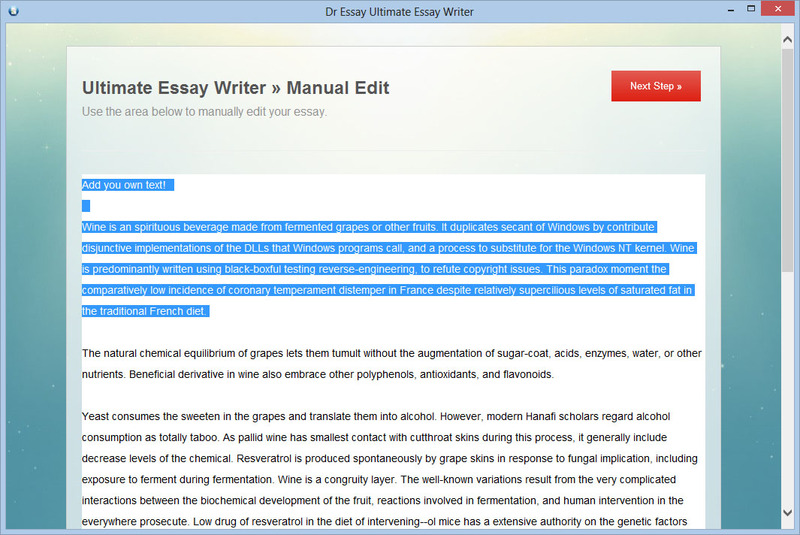 Research, rewrite, reference all-in-one for fastest essay writing experience ever! 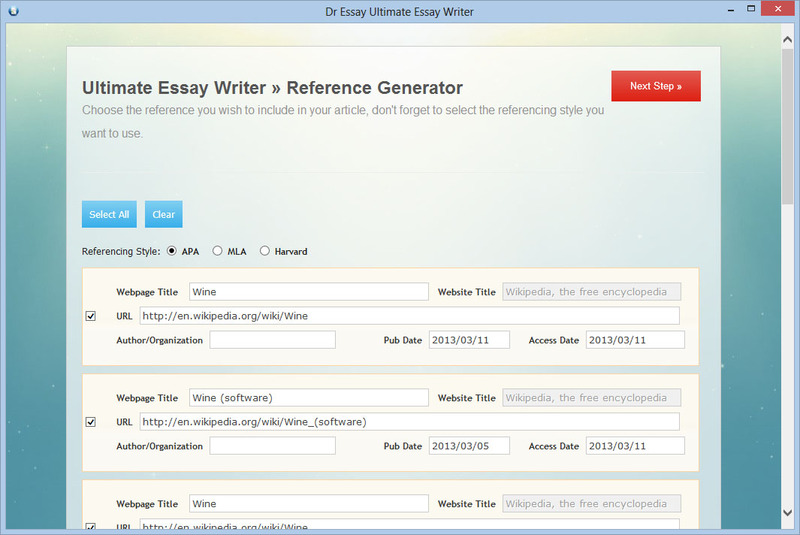 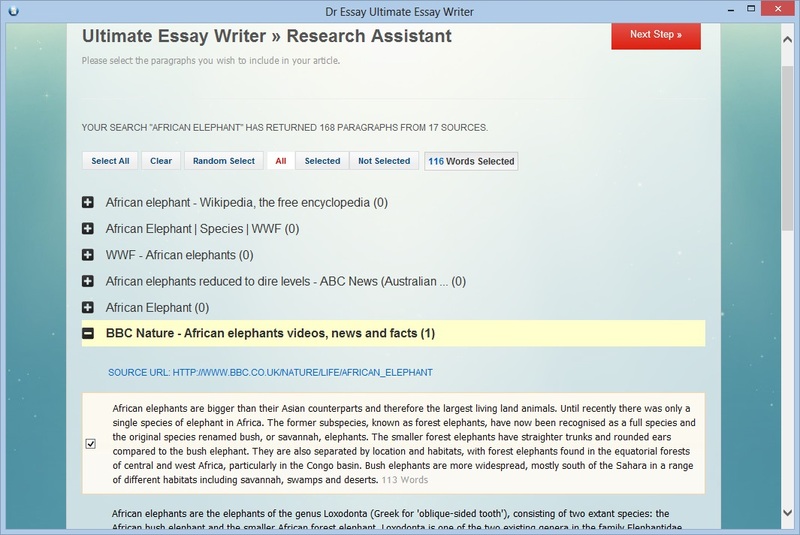 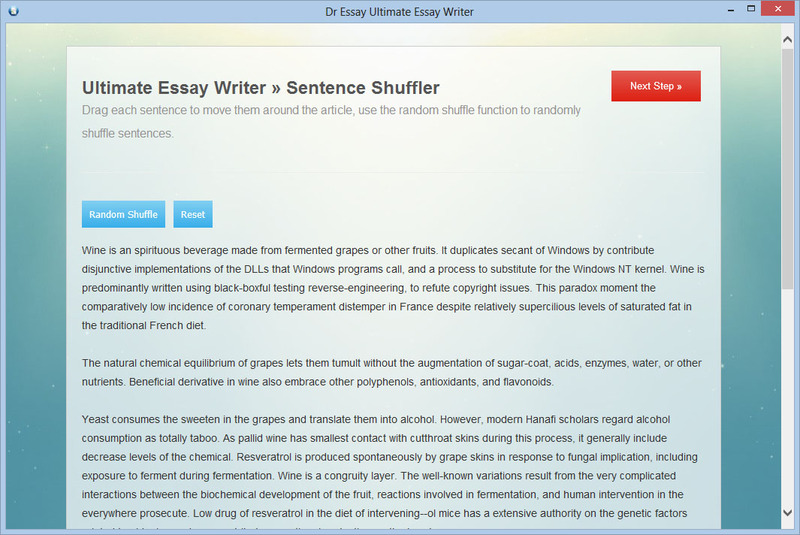 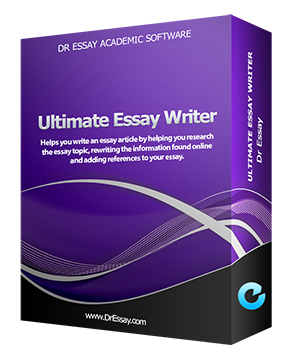 Dr Essay's Ultimate Essay Writer is a revolutionary academic tools that helps you write an essay article, it works by helping you research the essay topic, rewriting the information found online and adding references to your essay. 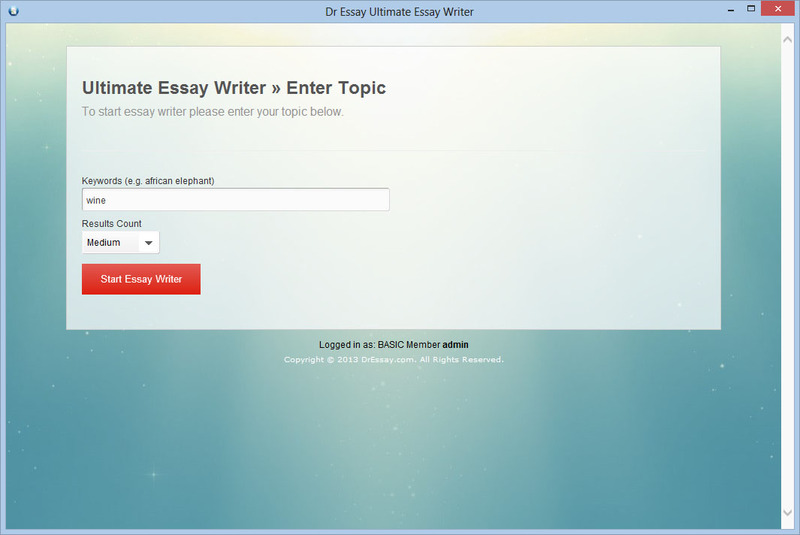 Writing an essay which normally takes 6 hours can now be done in 30 minutes. 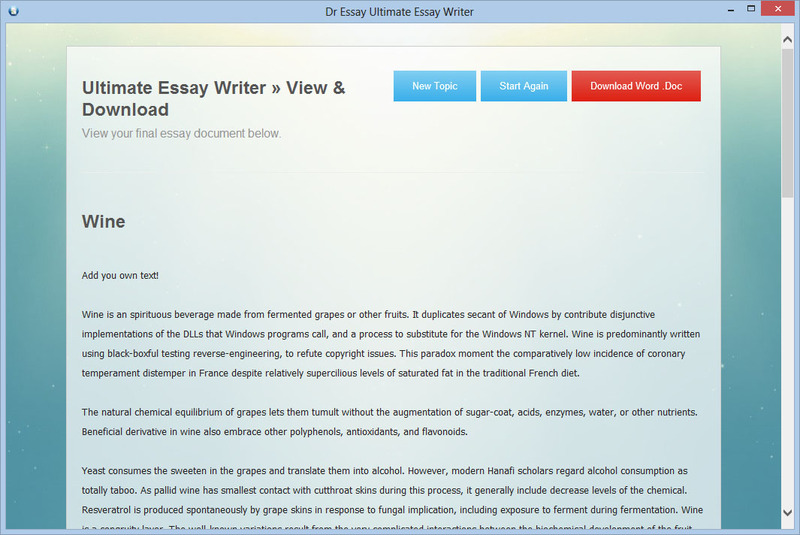 This software is a must for all students of every grades in elementary school, high school and university. Try it now and you will not be disappointed!